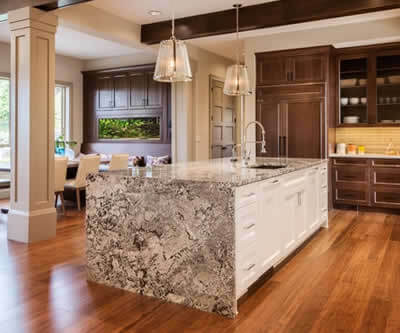 Grosse Pointe Homeowners Trust Us For All Their Granite Countertop Needs! We are proud of our reputation to satisfy our customers’ expectations when it comes to quality granite countertops for their homes and businesses. We have satisfied thousands customer in Grosse Pointe and surrounding areas, too. When one thinks of Grosse Pointe, words like stately, manors, majestic, historic, and architecture come to mind. And Grosse Pointe homeowners desiring to maintain the history of these homes can be certain that we will assure them they can keep the historic themes with the granite stone we provide. We have a 22,000 square foot showroom filled with unique granite slabs that when installed on your countertops in your kitchen, bathrooms, fireplace surrounds and even your outdoor kitchens, will enhance your stately resident’s theme for many more years to come. When you visit our showroom in Troy, you’ll be able to browse quality imported granite from Italy, Brazil, India and other countries and you’ll enjoy knowing that the best product is gracing your Grosse Pointe home’s interior. 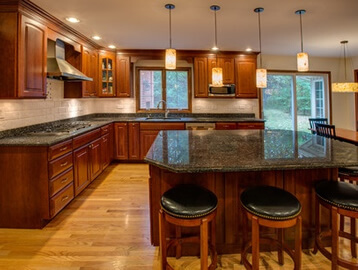 There’s an extreme experience waiting for our Grosse Pointe neighbors looking to update their interior countertops and maintain the stateliness and history of their home. We have just the extreme quality granite you’re looking for. Call us today at 248.307.0832 or contact us for a free quote.